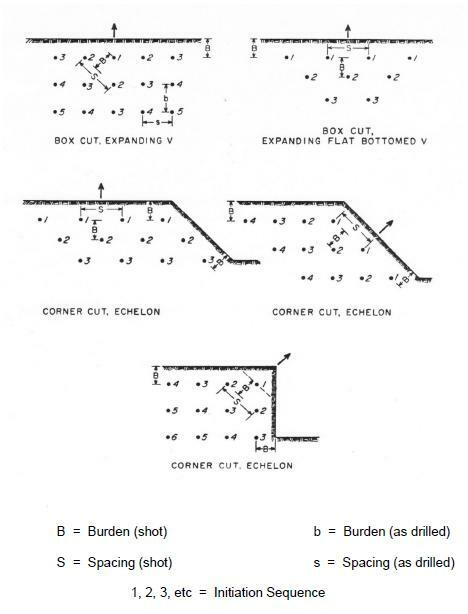 An article on the new software and on the associated technologies of blasting and fragmentation is to be found at this link, a paper from the September 2008 issue of International Mining. Here is an interesting bit of deep technology from the article. The charge explodes and is split up into high-pressure, high-temperature zones. The gases are applied to the borehole which contains them and this creates a strain field in the rock. This strain field, due to its impulsion aspect, creates a strain wave that is propagated in the rock and damages the rock. This damage is the center of the cracks in the rock. Gas pressure is reduced via the cracks thus separating the rock fragments. The pressure of these gases applied to the face of the fragments, produces forces that propel the fragments. The fragments adopt a ballistic trajectory. In areas where the damage to the rock was not sufficient to create fragments, the strain wave continues its trajectory until it runs out of energy that it dissipates by making the rock vibrate. AlphaBlast Alpha-Blast Signature Analysis and Vibration Simulation Software. White was the first company to offer a commercially available program for analyzing the probable effects of blast timing on amplitude and frequency. If you use or test electronic detonators, the Alpha-Blast program could be the most important software package you have. As detonation times become more accurate, it will be necessary to have sophisticated software that will help determine the best delay designs to achieve the desired results involving vibration control. Contact:Randy Wheeler, President, E.mail: RWheeler@whiteseis.com , White Industrial Seismology, Inc., 1206 Schifferdecker Avenue, Joplin, MO 64801,Toll Free U.S.: (800) 641-4538,Phone: (417) 624-0164,Fax: (417) 624-9416. Soft-Blast Soft-Blast is the distributor of JKSimBlast, the premier software system for blast design, analysis and management. JKSimBlast has over 400 users throughout the world in surface, underground and tunnel blasting applications, working in mines, explosives supply, consulting, contracting and education. A unique DECISION AID TOOL that simulates all the possible initiation sequences in your configuration and pinpoints the sequences that best optimize the energy inside the blast. I-BLAST 4.4: For the most versatile and powerful blasting design solution ! Whether you are a mining engineer designing blasts everyday, a manager looking for a better control of blasting operation or a blaster starting out learning how to improve blast design, DNA-Blast Software has the right tools for you. BLASPA inc. The BLASPA blast design simulators uses explosive and rock properties to predict blasting results, at your mine or construction site. Rock excavation is the first process in the cycle of operation of a mine, and efficient blasting is key to the profitability of the mine. DataVis DataVis has created Drill and Blast Software (DBS) a complete system to achieve efficiency of drill and blast operations. DBS includes a range of integrated drill and blast products designed specifically for use in open cut and underground mining. DelPat DelPat will minimize design time and maximize the cost-effectiveness of your next rock blasting. Blast Central Blast Central web site. This web site and its tools provide a repository for blast product information, blasting utilities, blast calculations and blasting and explosive contact information. The intended audience is blasting engineers and explosives engineers. Purpose Built Applications Design,calculate and price any Mine,Quarry or Road construction operation, including adding a presplit ( Smoothwall ) blast with the main production blast. P-Wave, Inc. Master Blaster, P-Wave’s blast and inventory management software system, dramatically improves documentation accuracy, minimizes paperwork, and allows for rapid search and retrieval of blast documentation. Stroma Engineering iRing is an exciting new software package primarily used in the mining industry for planning underground blasting operations. Designed and developed in collaboration with a major international mining corporation, this intelligent tool logically assists planners through the ring planning and blasting process, automating a time consuming, manual task which allows “planners to do planning”. 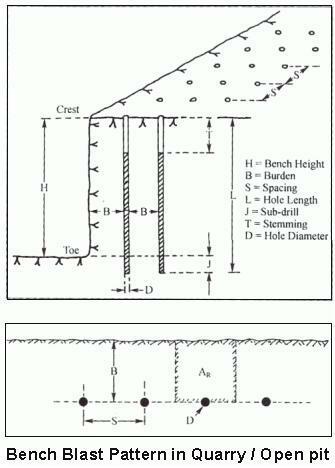 Civil Software Design “SEDCAD” Civil Software Design, established in 1983, develops software products that enable the efficient design and performance of stormwater, erosion and sediment control systems. Since 1976 mining and exploration companies worldwide have been using MineMap software to develop cutting-edge solutions for their exploration and mining requirements. MineMap IMS is the world’s first fully integrated mining software system, giving mining professionals the flexibility to rapidly respond to changing conditions and make decisions using cutting-edge mining software features, including geological modelling, optimisation, mine design, scheduling and reconciliation. Mincom, Inc. Mincom’s Enterprise Mining Solution (EMS) provides mining companies with a single enterprise solution that manages every mining process. EMS offers you unprecedented integration, efficiency and profitability, providing a wider range of information to enable managers to make better decisions ‘in the pit’. Contact: Susan Wick, Executive Vice President, 3544 E. Ft. Lowell Rd. MPC Solutions, Inc. MPC Tire Tracking is professional tire tracking software which can be downloaded at no charge and evaluated for 31 days. Mapcon “MAPCON (Maintenance Planning and Control) is a fully functional CMMS (Computerized Maintenance Management System) designed to reduce maintenance costs and exte nd the life of corporate assets. The various modules are linked together to provide a seamless flow of data throughout the facility. Generating repair and preventive maintenance work orders against equipment, locations, or cost centers, MAPCON also provides project management, inventory and tool control, and will help you plan and schedule your maintenance tasks. For a free evaluation of Mapcon or MapconLite, visit our website at www.mapcon.com. Mine Performance Monitoring Systems, LLC ONIX is a PC based, client server, enterprise wide software available in modules that collect and report information associated with mining production, processing plants, product quality, product inventories, shipments, safety and training, production delays and more. SAFEmine™ (Collision avoidance and traffic safety for vehicles in surface mines) is a compact Traffic Safety and Collision Avoidance System (CAS), suitable for all types of vehicles in open pit mines. It warns with audio and visual indications of possible collisions and supports the driver by improving his traffic awareness, especially in blind spots around his vehicle. This is an excellent effort to put things together – a highly commendable effort! Keep the great and noble work going! Hi. My name is Jonathan. I work for an explosive company. I would like to know if you have a program that best suits my need. I am not a blaster. I am an operations manager who supplys explosives to the mine. I want to improve the blasting by approaching the mine an show them that a PRE-BLAST PLAN is important to have before and after the blast. do you have a programn, preferable in 3/4D that will shoe the blast before and after if the charging, stemming and timminig is done right. Your question is music to our ears, if only more blasters would think like you! We actually give courses to blasters on this topic and let them simulate changes in blast parameters like stemming. Even for experience blasters, it is an eye opener for them. Please have a look at the BLASPA simulator http://www.blaspa.com, it was used by Dupont by their research team to develop explosives and tech-rep to support their customers. 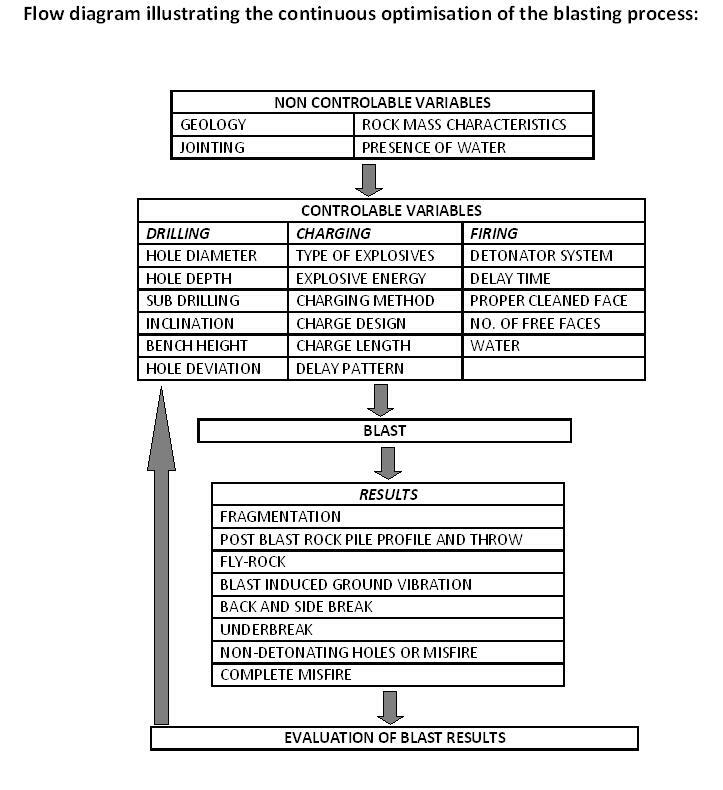 Blaspa is the only blast simulator with the mathematical model to start with the base ingredients of the explosive and site rock properties to predict blast results. It is the only simulator to be accepted in court litigations to explain what occurred during a blast. Blaspa can simulate fragmentation passing curves, where bad fragmentation is located, flyrock, vibration, airblast, casting, vertical retreat mining and more. In the event of a last minute change in burden, a change in loading can be quickly simulated or pre-simulated to control flyrock. For an explosive supplied, it can be useful to carry out blast studies showing the economic advantage of a new explosive if it is a good match to their rock, or change in drill size. This can be the case even if the new explosive is more expensive. all the simulators seems to be made for surface. Is there anything for underground ? I heard that Aegis from Datamine Software provides is having underground blasting software, which can provide you an automated underground drill & blast designing. Here is a link for there website http://www.dataminesoftware.com/wp-content/brochures/Aegis.pdf for your reference. We have prepared a software for organization & anaysis of rock drilling and blasting systems for open pit, quarry and construction operations called DelPat v8.0 and would like to share the below informations with you. DelPat v8.0 will minimize design time and maximize the cost-effectiveness of your next rock blasting operation. It was created with addition of our experience after long studies on it and since 1992 it is a preferred software in the market. •	Features	: Important features of DelPat v8.0. We hope that, DelPat v8.0 can be used in the undergraduate, postgraduate educations programs or research programs in your university. We wish to have the opportunity to discuss improvements on DelPat together with you or with related people from your university. HI Please also look at MineExcellence. Mineexcellence.com provides fully web and mobile based tool for blast design, blast data collection and various predictors. The predictors improve operational efficiency and reduce risk in mining operations. They have flyrock, air and ground vibration, fragmentation predictor, tools that simulate the pattern of the blast etc. I was searching for this type of post.